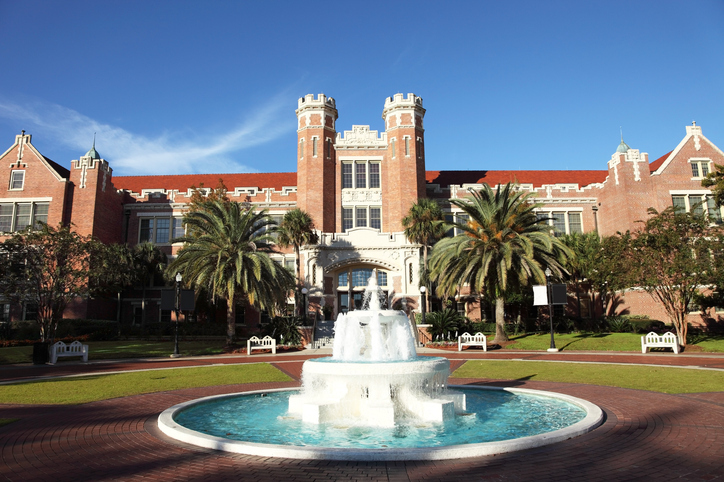 Florida State University (FSU) is located on the oldest continuous site of higher education in the state of Florida. The university features over 110 facilities, institutes, and labs and offers over 360 programs of study. For 2019, U.S. News & World Report ranked FSU as the 26th best public university in the United States in the national university category. General Education Requirements: All students must complete at least one course in composition, foreign language (intermediate-level), mathematics, natural science, fine arts, and the humanities. FSU is the only public institution in Florida that requires its students to study a foreign language through the intermediate level. Intermediate level study means that students must complete at least three consecutive semesters of rigorous study. FSU offers courses in a variety of languages, including German, Russian, Arabic, and Greek. The state of Florida makes it highly affordable for students to attend its public institutions. In-state tuition at FSU is similar to other public institutions like the University of Florida, at $6,381 per year, and the University of Central Florida, at $6,368 per year. ACTA’s Assessment: The state of Florida promises low in-state tuition rates for their students and encourages them to pursue an in-state education. FSU has not forgotten the value of learning a foreign language and offers multiple modern and classical languages for students to study. FSU demonstrates that it is possible for a large public institution to commit to low in-state costs and uphold rigorous academic expectations. Bang for Your Buck highlights affordable and academically rigorous colleges and universities across the nation. In an age when student debt accounts for more than $1.5 trillion, acquiring a useful set of skills at a reasonable price has never been more important for students entering an extremely competitive job market. Each week, ACTA recognizes a high-ranking institution from our What Will They Learn?® project for its commitment to low tuition rates and serious academic study.